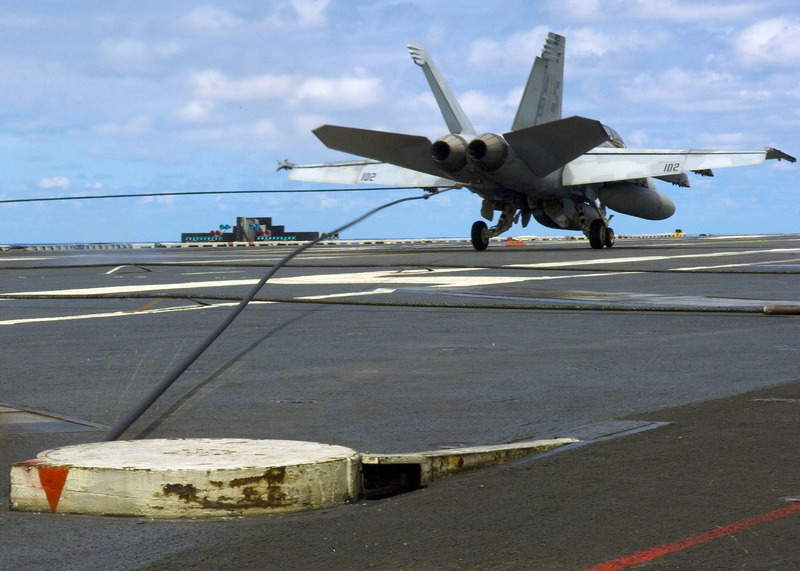 There are 4 arresting wires on an aircraft carrier separated by about 50 feet and usually the pilot tries to snag the 3rd one but he does have the option to snag the first or second one. 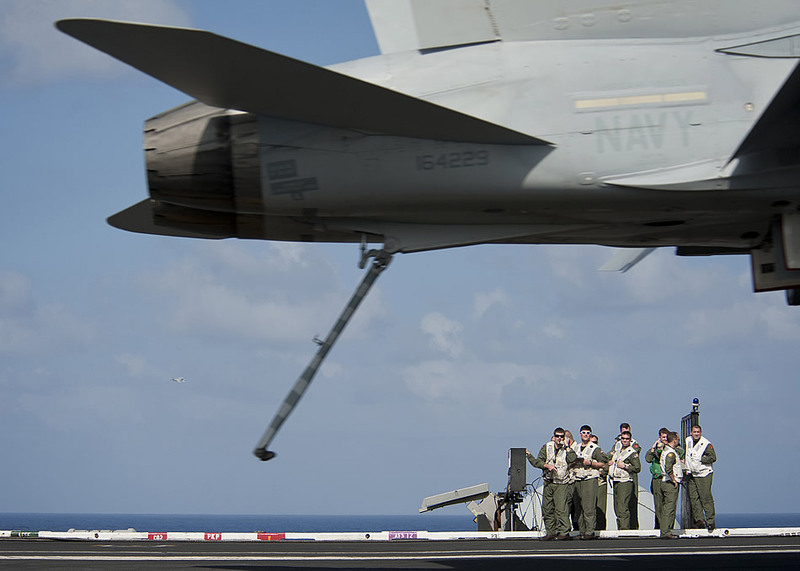 What stops the tailhook from engaging the wires in front of the airfraft as well? Is it assumed that they will also get engaged and the regulator on each arresting engine is tuned to accept it? 2. 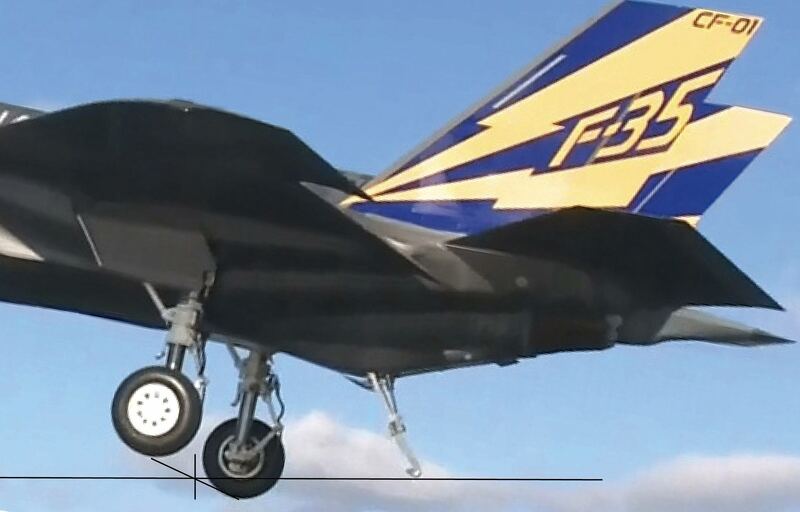 This is the much more important reason: The hook is pneumatically pushed onto the deck (Google for the "F-14 Tomcat Pilot's Flight Operating Manual Vol. 1, Volume 1". Interestingly Wikipedia (is it a source?) says there are hydraulic and pneumatic hooks) but as soon as the hook hooks to the cable, and pulls on it, that pneumatic pressure is overcome and the vectors of the forces go from where the hook is attached to the plane to where the wire comes out of the ground (and vice versa). As you can see here, the hook is actually almost parallel to the deck. No, the hook is not capable of catching more than a single wire at a time. There is a hydraulic dampener in the hook, the snubber, that keeps the hook pressed into the deck during touchdown. This was designed to help alleviate a phenomenon known as hook skip bolters, when the force of the hook contacting the deck causes the hook to bounce; however, the hydraulic force of the snubber pressure is immediately overcome when the hook catches a wire, and the hook is drawn up almost parallel to the flight deck as the cable arrests the aircraft.